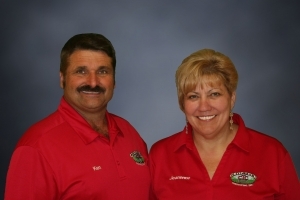 In 1991 Ken, with his wife Jeanenne, started Crop-Tech Consulting in Heyworth, IL. As an independent consultant Ken works with farmer clients and fertilizer dealers providing agronomic services and directions. Crop-Tech puts in almost 150 test plots each year, testing everything from herbicides and varieties to planters and closing wheels. Data gathered in the plot research helps fine-tune Ken’s systems approach to farming. 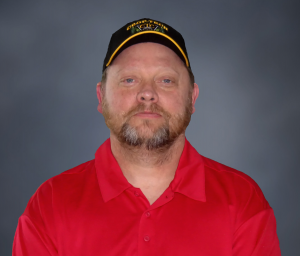 Ken is a native of Cresco, Iowa and grew up working on his family farm, tending hogs, cattle and a dairy herd. He holds a bachelor’s degree in agricultural science and agricultural business from Illinois State University. He also holds an associate degree in agricultural business from Ellsworth Community College. Much of his leading-edge agronomic training was received as an apprentice under Dr. Everett Dennis, private agronomist from Manhattan, KS. Jeanenne is a native of Ridgeway, IA and grew up on her family farm milking cows. Jeanenne has an accounting degree from Hamilton Business College and is the office manager for Crop-Tech. Ken and Jeanenne have four children. Isaac, Katie, and Zach work at Crop-Tech Consulting full time. Chelsea is a Iowa State University student that works on special projects for Crop-Tech. Katie is a graduate of Quincy University with a degree in Community Relations and a Masters in Business Administration. Katie came on full time in 2010 to manage office logistics and events. She has become the Director of Operations and has taken over managing the soil testing and office aspects of the business. 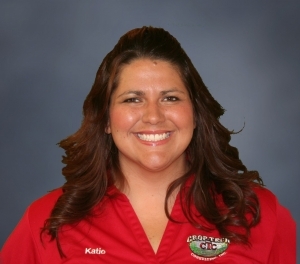 Katie has a passion for education and helps Crop-Tech further their educational outreach. 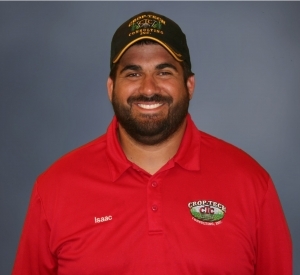 Isaac is a Certified Crop Adviser and the GIS Project Manager at Crop-Tech Consulting Inc. (CTC) in Heyworth, Illinois. He graduated from Southern Illinois University in Edwardsville earning a Bachelor of Science Degree in Geography, specializing in Geographic Information Systems (GIS). Isaac also received a Master of Professional Studies from Northeastern University in Geographic Information Technology (GIT). At CTC, he has been working “hands on” since 2003 helping to coordinate and implement many of the test plots that CTC has a hand in each year. Isaac, his wife Abbi, and their three children live in Heyworth. In his free time Isaac enjoys hunting and fishing. 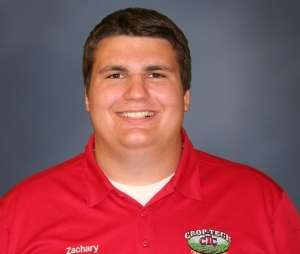 Zachary is a graduate of Illinois State University, with a degree in Computer Systems and Technology and a minor in Agriculture. He has been placed in charge of the IT operations at Crop-Tech. Kevin is a graduate of Illinois State University with a degree in Agriculture. He has been with Crop-Tech Consulting since 1994 and has been the operations manager for over 20 years overseeing soil testing and taking an active part in writing recommendations. 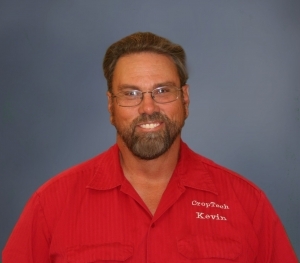 Kevin grew up on a farm in Quincy, Illinois and has been married to his wife for 30 years and they have two children. Kevin and his wife currently reside in Normal and he is a trustee of the Heartland Community Church. 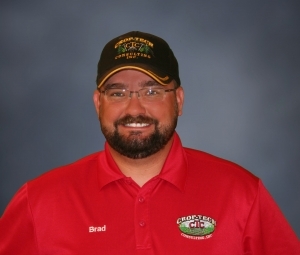 Brad Beutke is the Precision Agriculture Technology Specialist at Crop-Tech Consulting Inc. (CTC) in Heyworth, Illinois. He has worked at Crop-Tech Consulting since 2003. Brad assists CTC clients in the integration of precision farming practices as part of the company’s “Systems Approach to Farming. Brad grew up on a farm in north central Illinois. He received a Bachelor of Science Degree in Agricultural Industry Management from Illinois State University. Brad splits his time between working at Crop-Tech and actively farming. 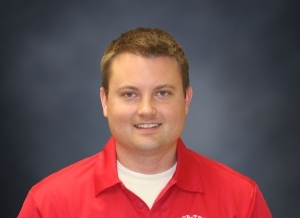 Thomas is a graduate of Northern Illinois University with a degree in Geography and a certificate in Geographic Information Systems (GIS) and joined the Crop-Tech staff in 2009. Thomas is very passionate about soil and weather and handles a large portion of the weather data management and soil health collection for CTC. Thomas also plays a large role in the mapping segment of CTC. 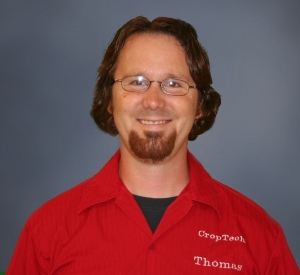 Thomas originates from the Rockford area and enjoys out-fishing everyone at the office. Miles is originally from Sullivan, Illinois. He graduated from Illinois State University in 2015 with a degree in Geography. He lives in LeRoy, Illinois, with his wife Holly, son Mason, and two dogs, Lexi and Hemi. In his free time, he enjoys camping, fishing, and hunting. 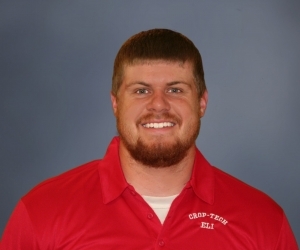 Mike Carl joined the Crop-Tech Staff in 2016. Mike has lived in Heyworth all his life and grew up farming with his dad and grandpa. He graduated from Heyworth schools in 1981 and has worked at Carter Distribution Center (North of Heyworth) and worked 27 years at Mitsubishi Motors in Normal Illinois before coming to work at Crop-Tech. 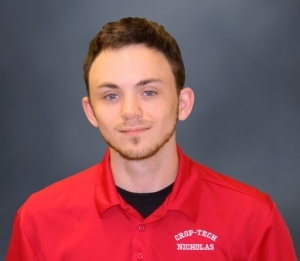 Mike is the Facility Manager at Crop-Tech, keeping all buildings, grounds, and vehicles in good working condition. Mike’s hobbies include: playing pool, working on computers, and being outdoors. 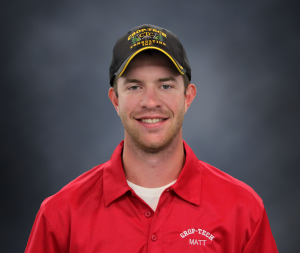 Matt is from Mendon, IL and graduated from Iowa State University with a bachelors in Agronomy. When not working at Crop-Tech Matt spends his time as a partner on his family farm. Eli is from Danvers, Illinois. He graduated from University of Wisconsin-Whitewater in 2016 with a bachelor’s degree in Biology. Outside of the office he enjoys hunting, fishing, as well as following both football and baseball.